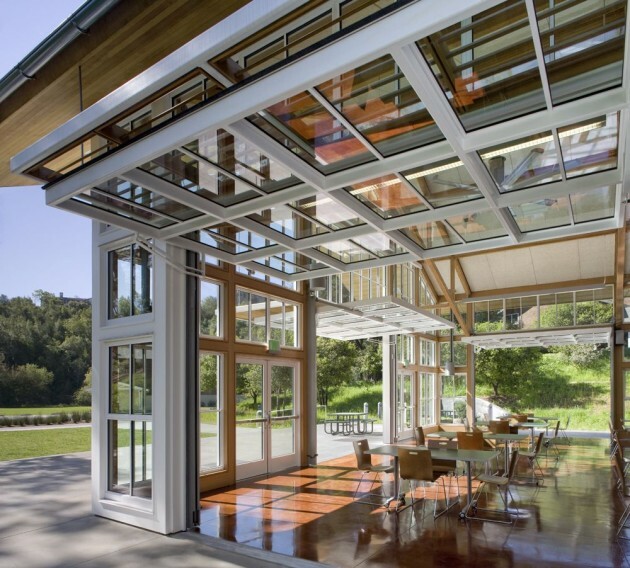 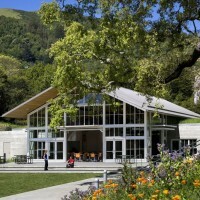 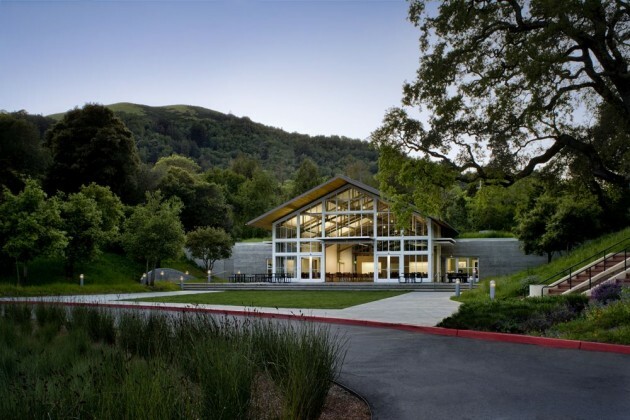 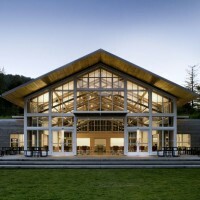 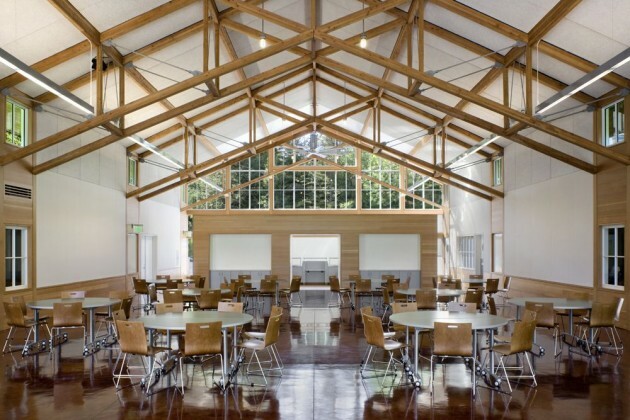 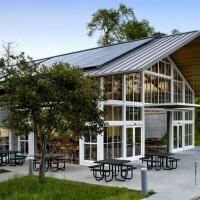 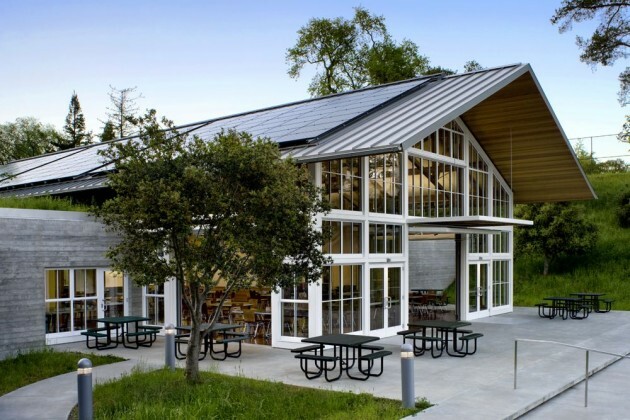 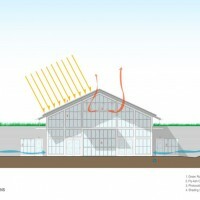 Turnbull Griffin Haesloop designed the Branson School Student Commons in Ross, California. 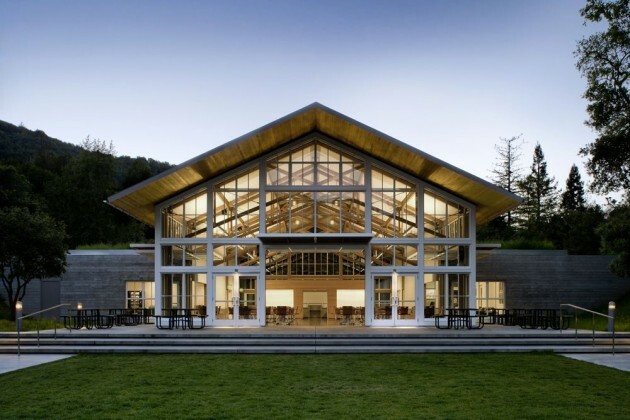 The Branson School is an independent high school occupying seventeen acres of hilly terrain in the residential community of Ross, California, just north of San Francisco. 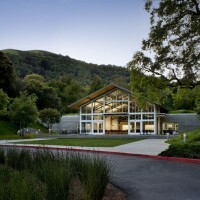 The new 7,550 s.f. 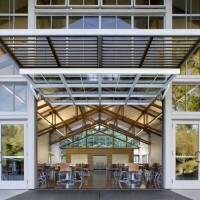 Student Commons building is located in a narrow glen in the center of the campus, along the pedestrian path between the upper and lower campuses. 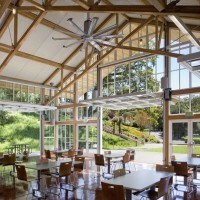 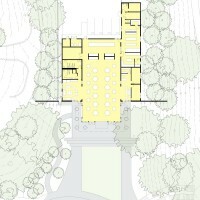 The central gable and large window wall front onto an inviting terrace and lawn while the flanking support wings, sheltered under green roofs, connect to the adjacent hillsides with board-form concrete walls. 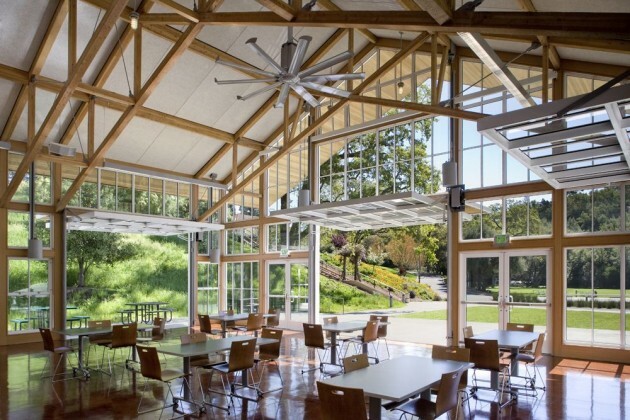 Sited to take advantage of the sunny southern exposure, the new building features large overhead doors that open onto a generous plaza for dining, meeting and outdoor learning. 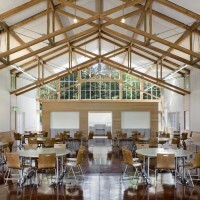 By providing spaces for gathering and socializing throughout the day, the Student Commons serves as the heart of campus activity. 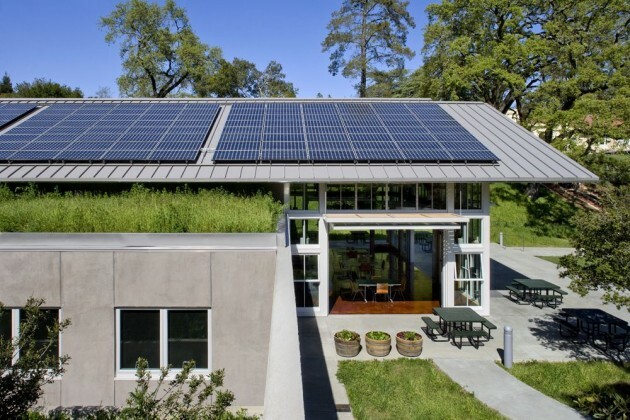 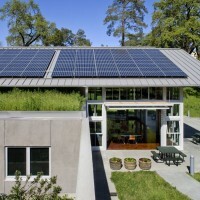 The building is LEED Platinum certified and features many sustainable strategies, including a living roof, radiant heating, natural ventilation, photovoltaic panels, and pervious paving.